After starting with the Church Stretton beginners group last year, Eileen took part in her first 5km event on Saturday. She chose the Weston Park Pretty Muddy 5k, part of the Race for Life series, as her first event. It was great to see her running with her niece Tara who joined our Friday group as a guest a couple of months ago. New mum Tara says the welcome we gave her helped to motivate her to get back to fitness. 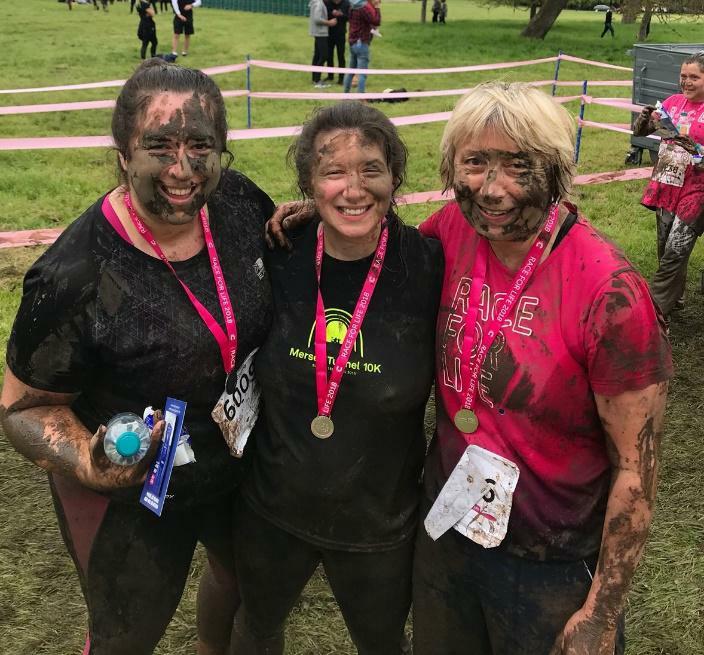 It certainly looks like Eileen and Tara had a lot of fun in the mud!